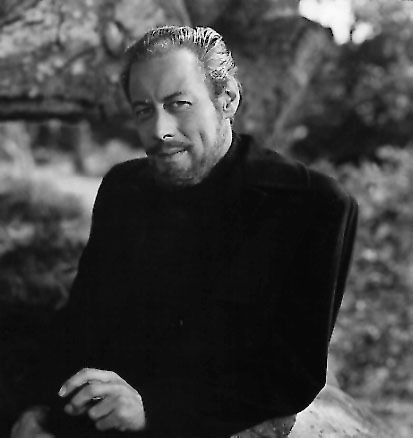 Rex as Captain Gregg in THE GHOST AND MRS. MUIR (1947). "Prelude" (clip) by Bernard Herrmann (a .MP3 file). "The Sea" (clip) by Bernard Herrmann (a .MP3 file). "The Painting" (clip) by Bernard Herrmann (a .MP3 file). "The Storm" (clip) by Bernard Herrmann (a .MP3 file). 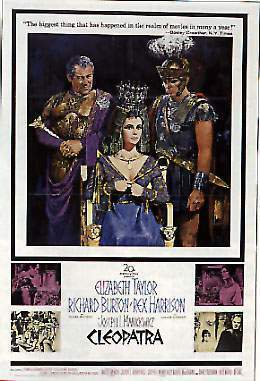 A poster from the epic CLEOPATRA (1963) with Elizabeth Taylor and Richard Burton. Harrison earned an Oscar nomination for his performance as Julius Caesar. 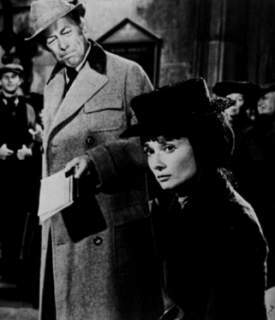 With Audrey Hepburn in MY FAIR LADY (1964). He won a Best Actor Oscar for his role as Professor Henry Higgins in this film, a role which he had originated in the stage version on Broadway with Julie Andrews. "Women are irrational. That's all there is to that. Their heads are full of cotton, hay, and rags. They're nothing but exasperating, irritating, vacillating, calculating, agitating, maddening and infuriating HAGS!" 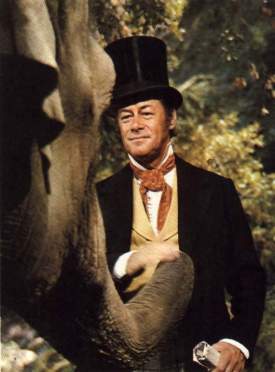 Rex as the title character in DR. DOLITTLE (1967), based on the Hugh Lofting novel about a world-famous veterinarian who could speak to animals. Rex : an autobiography by Rex Harrison (London: Macmillan, 1974). A damned serious business by Rex Harrison (New York: Bantam Books, 1991). Rex Harrison : a biography by Nicholas Wapshott (London: Chatto & Windus, 1991). Rex Harrison : a biography by Roy Moseley with Philip and Martin Masheter (New York: St. Martin's Press, 1987). TVNow's monthly Rex Harrison schedule -when his movies will be on TV.